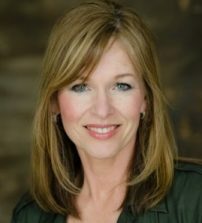 Starting in radio broadcasting on WKAN 1350 AM a decade ago, Pamela reviewed both mainstream blockbusters and independent films which lead to writing for the Chicago area newspaper, The Daily Journal, and the female filmmaker focused outlet FF2 Media. Pamela attends various film festivals each year such as Sundance and Toronto, covering standout films for these outlets as well as her newest outlets, WCIA and THE MIX 94.5 FM. Appearing weekly on WCIA’s CI-Living and The Morning Show, and The Morning Show with Tim and Sarah on 94.5 FM, Pamela teams up with fellow critic Chuck Koplinski to share her opinion about the newest releases. Pamela also participates in panel discussions in the Chicago area including The Gene Siskel Film Center and organizes the Social Impact Film Series, a community based film screening program. Pamela is also a member of the Women Film Critics Circle, The Chicago Film Critics Association and a critic on Rotten Tomatoes.